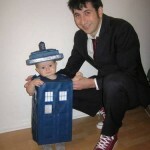 Still looking for some Halloween costume ideas? 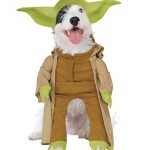 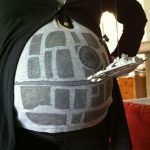 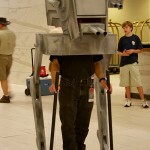 Perhaps you should do like this guy and dress up like an AT-ST walker from Star Wars! 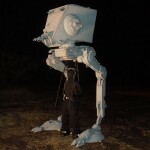 It may not be as big as the last AT-ST cosplay I posted, but at least it seems a bit more practical. 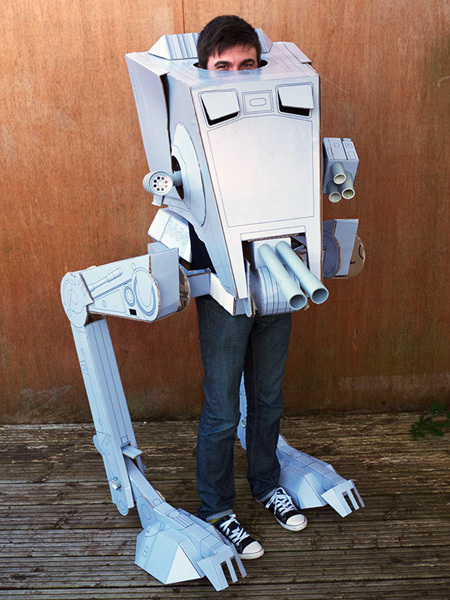 Anybody who shows up at my door wearing an awesome costume like this is sure to get a lot more candy than those dressed as Walt Disney characters, that is for sure!